Model 20 SS Hose End Airless Foamer | Lafferty Equipment Manufacturing, Inc. Designed to work with a 2.5 – 5.0 GPM pressure washer. 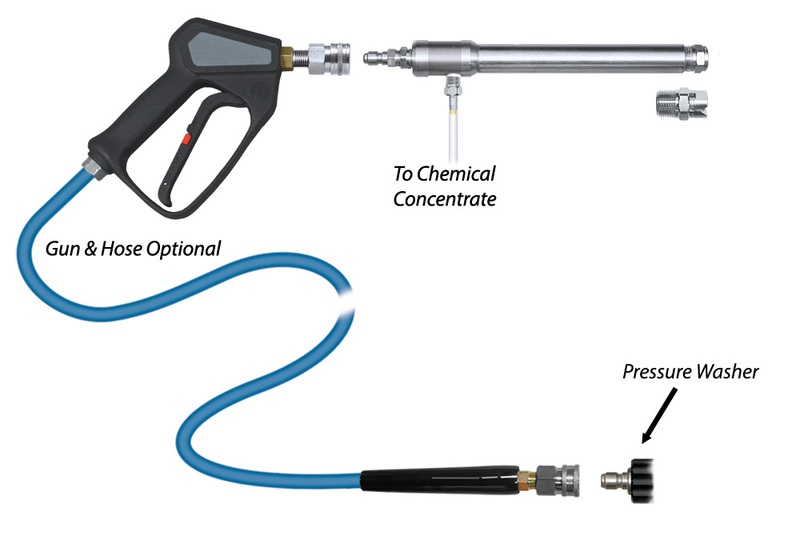 The Model 20 Stainless Steel Hose End Airless Foamer is an airless foam applicator for quickly applying foaming chemicals. This unit draws and blends chemical concentrate into the water stream to create an accurately diluted solution. The solution then flows through the airless foam wand which draws in atmospheric air to create and project wet, clinging foam on to surfaces up close or at distances up to 25 feet. Foamer body is one solid piece of machined stainless steel - built to last!